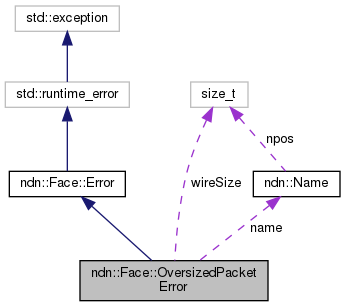 Exception thrown when attempting to send a packet over size limit. Definition at line 105 of file face.hpp. 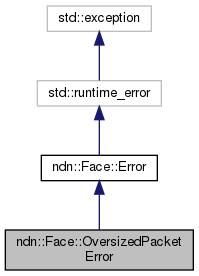 Definition at line 54 of file face.cpp. Definition at line 117 of file face.hpp. Definition at line 118 of file face.hpp. Definition at line 119 of file face.hpp.